I’ll address other ways the Book of Mormon can help clarify the Bible. For instance, there are many differences in beliefs about the resurrection. Some people believe we will remain as spirit bodies. Others believe we will have physical bodies. Some believe that all will be resurrected while others believe only some will be resurrected. The Book of Mormon teaches that we will all be resurrected – all who ever lived on the earth – and that it is a physical resurrection (see Alma 40; Mosiah 15). Having these two witnesses (we also have additional teachings by modern prophets – see D&C; 76, for example) clarifies doctrine. We no longer have to rely solely on the Bible, even as wonderful as it is. We can understand the doctrines with more clarity and purity. However, it is the living prophets who provide true clarity and additional light and knowledge. [image by AllAboutMormons.com]. 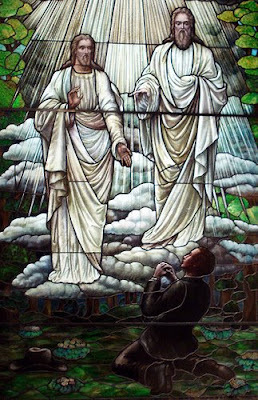 Without living prophets and even with the Book of Mormon, the doctrines of the gospel would quickly corrupt (we certainly have a broad range of opinions about many doctrines or practices within the Church, even among the General Authorities), just as they did following the Savior’s resurrection and the deaths of His original apostles. It’s not the books that the most important – what’s most important is the gift of the Holy Ghost – the ability to receive personal witnesses and revelation concerning the truths of the gospel – and the Priesthood power and authority. The priesthood allows for the organization of the church to function and exist. The priesthood keys as held by the prophet (and given to others through delegation and inspired callings) allow the ordinances of the gospel to be performed here on earth and be notarized in heaven. As members of The Church of Jesus Christ of Latter-day Saints, we claim that the Bible is the word of God. We do not, however, accept it as a closed canon. We view scripture as open, expanding, and contemporary through ongoing revelation. We believe this view to be Biblical. Just as what Amos wrote added to what Moses had written (to refer back to Elder Holland’s quote at the beginning of this essay) and what Paul wrote added to the words of the Redeemer, we claim that modern prophets give new scripture. Instead of simply retranslating the Bible into more modern English, we have prophets who receive new revelation. We certainly can apply the doctrines and teachings of the Bible to our day and adapt them to our understanding and lives but we are not limited any more to the Bible. Does God love His children today any less than those who lived during Biblical times? No! He speaks to prophets today just as He did then. He caused the Book of Mormon to speak from the dust (see Isaiah 29:4; 2 Nephi 26:16; 2 Ne. 33:13). He restored His Church through the prophet Joseph Smith, a restoration that brought about the blessings and promises of the fullness of the gospel, including the blessings of continuing revelation to prophets who speak with authority from God. God speaks to us today – individually (just as He has done throughout the ages) and through prophets. Not only does the Book of Mormon stand as Another Witness of Jesus Christ, but also the testimonies of the prophets verify the truth of the Bible and the divinity of our Lord Jesus Christ, the Atoner. “And now, my beloved brethren, and also Jew, and all ye ends of the earth, hearken unto these words and believe in Christ; and if ye believe not in these words believe in Christ. And if ye shall believe in Christ ye will believe in these words, for they are the words of Christ, and he hath given them unto me; and they teach all men that they should do good. And if they are not the words of Christ, judge ye—for Christ will show unto you, with power and great glory, that they are his words, at the last day; and you and I shall stand face to face before his bar; and ye shall know that I have been commanded of him to write these things, notwithstanding my weakness. And I pray the Father in the name of Christ that many of us, if not all, may be saved in his kingdom at that great and last day. And now, my beloved brethren, all those who are of the house of Israel, and all ye ends of the earth, I speak unto you as the voice of one crying from the dust: Farewell until that great day shall come. And you that will not partake of the goodness of God, and respect the words of the Jews [the Bible, mainly the Old Testament], and also my words [the Book of Mormon], and the words which shall proceed forth out of the mouth of the Lamb of God [contained in the Bible, Book of Mormon, Doctrine & Covenants, and spoken by modern prophets], behold, I bid you an everlasting farewell, for these words shall condemn you at the last day” (2 Nephi 33:10-14). As we accept the truths of the Book of Mormon we will better understand the doctrines found in the Bible. In addition to verifying the truth of the Bible, the Book of Mormon can clarify its teachings. Over the years of translations and copies of copies, changes were introduced into the Bible – on purpose or inadvertently. Most were inadvertent and could have included simply choosing to translate one word in a particular manner. Even aside from changes, people interpret the Bible in many different ways. Interpretations might be similar but many are significantly different. Some people take the Bible as a completely figurative and spiritual book while others take everything strictly literally. Joseph Smith explained it well: “The Presbyterians were most decided against the Baptists and Methodists, and used all the powers of both reason and sophistry to prove their errors, or, at least, to make the people think they were in error. On the other hand, the Baptists and Methodists in their turn were equally zealous in endeavoring to establish their own tenets and disprove all others….the teachers of religion of the different sects understood the same passages of scripture so differently as to destroy all confidence in settling the question by an appeal to the Bible” (Joseph Smith-History 1:9,12). Joseph did not state that the Bible was false or untrue or wrong; he just said that people argued and debated over what particular passages of scripture meant. Some of the arguments were and are very bitter. If he asked the Baptists, they said one thing. If he asked the Methodists, they said another. These debates continue today; look at the myriad Christian churches throughout the world. There are as many different and distinct churches as verses in the Bible (to be a bit hyperbolic)! So who has the truth? Do they all have the truth? I believe all have truth but do all have all the truth (or at least all the truths necessary for salvation)? No. How can we know the truth? Who is the source of truth? Who inspired prophets in Biblical times and gave them revelations that they wrote down? The Lord did. Because God is the source of truth, Joseph’s solution was to do as the Bible suggested in James 1:5 (verse 6 is also linked to), “If any of you lack wisdom, let him ask of God, that giveth to all men liberally, and upbraideth not; and it shall be given him.” Joseph knew he had to ask the Lord in prayer. The Lord is the source of Truth so Joseph went to that Source. In response to Joseph’s prayer at the age of 14, Heavenly Father and Jesus Christ appeared to Joseph. They called him by name and called him to be the prophet, a role he would grow into over the years. As Latter-day Saints we believe that the Book of Mormon is a collection of the writings and teachings of prophets who lived in the Americas over a span of a few thousand years. The Savior taught “And other sheep I have, which are not of this fold: them also I must bring, and they shall hear my voice; and there shall be one fold, and one shepherd” (John 10:16). When the Savior visited some of the people in the Americas after His resurrection He said, “And verily I say unto you, that ye are they of whom I said: Other sheep I have which are not of this fold; them also I must bring, and they shall hear my voice; and there shall be one fold, and one shepherd” (3 Ne. 15:21). However, He had even more sheep that needed to hear His voice: “And verily, verily, I say unto you that I have other sheep, which are not of this land, neither of the land of Jerusalem, neither in any parts of that land round about whither I have been to minister” (3 Ne. 16:1). We believe that God’s words do not cease. He speaks to us today through His prophets just as He did in Biblical times. Brigham Young said something that I think is important here: “Learning a, b, c, d, does not hinder me from learning e, f, g” (Discourses of Brigham Young, p. 245). In other words (and to adapt his quote to this essay), just because someone happens to know a and b does not mean they cannot also know c, d, and e. Believing in the Bible does not preclude believing in the Book of Mormon. Or, having the Book of Mormon does not lessen the importance of the Bible. In reality it increases the importance of the Bible because it stands as another witness to the veracity of the Bible. We have that additional testimony that the Bible is true! “In the mouth of two or three witnesses shall every word be established” (2 Cor. 13:1; see also Deut. 17:6, Matt. 18:16, D&C; 6:28). God establishes the truth of His words through many witnesses. However, many believe that the Bible is enough. The Lord cautioned those who state that the Bible is all they need. “And because my words shall hiss forth—many of the Gentiles shall say: A Bible! A Bible! We have got a Bible, and there cannot be any more Bible…. Thou fool, that shall say: A Bible, we have got a Bible, and we need no more Bible. Have ye obtained a Bible save it were by the Jews? Know ye not that there are more nations than one?…Wherefore murmur ye, because that ye shall receive more of my word? Know ye not that the testimony of two nations is a witness unto you that I am God, that I remember one nation like unto another? Wherefore, I speak the same words unto one nation like unto another. And when the two nations shall run together the testimony of the two nations shall run together also. And I do this that I may prove unto many that I am the same yesterday, today, and forever; and that I speak forth my words according to mine own pleasure. And because that I have spoken one word ye need not suppose that I cannot speak another; for my work is not yet finished; neither shall it be until the end of man, neither from that time henceforth and forever. Wherefore, because that ye have a Bible ye need not suppose that it contains all my words; neither need ye suppose that I have not caused more to be written…. For behold, I shall speak unto the Jews and they shall write it; and I shall also speak unto the Nephites and they shall write it; and I shall also speak unto the other tribes of the house of Israel, which I have led away, and they shall write it; and I shall also speak unto all nations of the earth and they shall write it. And it shall come to pass that the Jews shall have the words of the Nephites, and the Nephites shall have the words of the Jews; and the Nephites and the Jews shall have the words of the lost tribes of Israel; and the lost tribes of Israel shall have the words of the Nephites and the Jews” (2 Nephi 29:3,6-13; emphasis added). Those are strong words but sometimes the truth is hard to bear. However, they are also very loving words; they show God’s care and concern for all His children. He speaks to many nations so they may know His words of great joy and love. He wants all His children to hear His words. I think all would be glad to know that God speaks to us today (except for those who find it more convenient to believe God is dead, God doesn’t exist, or God at least only spoke to a bunch of old dead guys)! His words and works do not cease. His work and glory is to provide eternal life to as many as will accept it (see Moses 1:39). I testify that the Book of Mormon contains the words of Christ. It builds, strengthens, and fortifies the Bible. There are three recent General Conference talks that relate to this essay. All have to do with the Bible and Latter-day Saint beliefs about scripture. This is an important doctrine because unlike most other Christian religions, The Church of Jesus Christ of Latter-day Saints believes in modern and ongoing revelation to prophets of the Lord Jesus Christ. In April 2008 Elder Holland gave a talk, “My Words…Never Cease” about ongoing revelation. In it he also gave a brief history of the Bible. In October 2007 Elder Nelson spoke on Scriptural Witnesses. In April 2007 Elder Ballard spoke about The Miracle of the Holy Bible. I’ll start with a quote from Elder Holland. 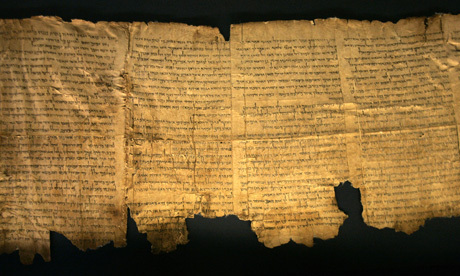 The Bible did not generally exist in the form it has today until over a thousand years after the Savior’s life (although there are very rare copies of the Bible from the 4th century that are similar to what we have today; the Codex Sinaiticus is one example). “The Hebrew Bible-the Old Testament-as Jesus knew it, consisted of from twelve to twenty such scrolls of different sizes. They were never united into what we could call one ‘book’ until the invention of printing made that possible, in the fifteenth century” (Edgar Goodspeed, How Came the Bible?, p.10 as cited by Robert Millet, Selected Writings of Robert L. Millet, p.5). Committees of scholars and Church leaders decided on what they believed to be the most authoritative and authentic books to include in the Bible. However, the books of the New Testament that are accepted into the modern canon were generally denoted as canonical by about 400 AD (Millet, Selected Writings, p.9).